Manchester City is one of the most famous and innovative club in the premier league. It may have lost the league past year but it hasn’t lost the touch to technology and the massive fan base. The Manchester City has recently inaugurated a new site which has been co-created along with fans. It pairs along with the new home kit and the manager Pep Guardiola. The same club is the first one to launch a chatbot on Facebook Messenger. The same club has also adopted technologies like a live VR experiment with Sky, launch on Asian chat apps WeChat and Line, and Androidwear app. Why Manchester City Is Interested In Technologies? 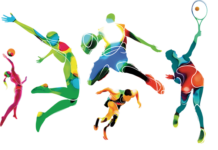 Technologies and innovations are central to any club and sports teams. However, the M city is really serious when it comes to employing their use on the players. Diego Gigliani, senior vice president for media and innovation, has dictated that the club follows the strategy of innovation and modernism. Gigliani, who is the head of the content and the digital marketing strategy of the club, believes that “It’s like a digital media organization within the football club.” Most of the technology boost and the recent technological expansion of the company is the result of the digital media campaigns. He also states that the clubs are focusing on player’s performance better than ever. The teams are picking up the best sports scientists along with the best plans to work for their teams. How Tech Is Employed To Boost Club-Fan Partnership? The M City is the first club to employ cheesy technologies in their plays and practices. They wear Android Smartwatches, which may sound a little backward! However, the content head has clarified that they are very selective when it comes to the use of technologies. The idea of the VR may not be much expensive but it is new and novel when compared with what other leagues and clubs are up to. Not only is the club interested in VR but it is also investing in chatbots and messenger apps. The club’s bot pushes out news about transfers, Pep Guardiola and fan commentary. The Facebook Messenger has recorded 900 million users in April this year. Gigliani notes that the messengers are currently being used for chats right now. He stated that the platform like WeChat provides them a bigger outlook on the internet world along with the fans. He says: “We know that’s a trend and a big market. It’s not a mooonshot. There’s a large audience there, spending lots of time on these platforms, so [a Messenger bot] was an easier decision to take. The bot was only released last week, but activations number in the “thousands”. Manchester’s Fan Following And Beyond…. 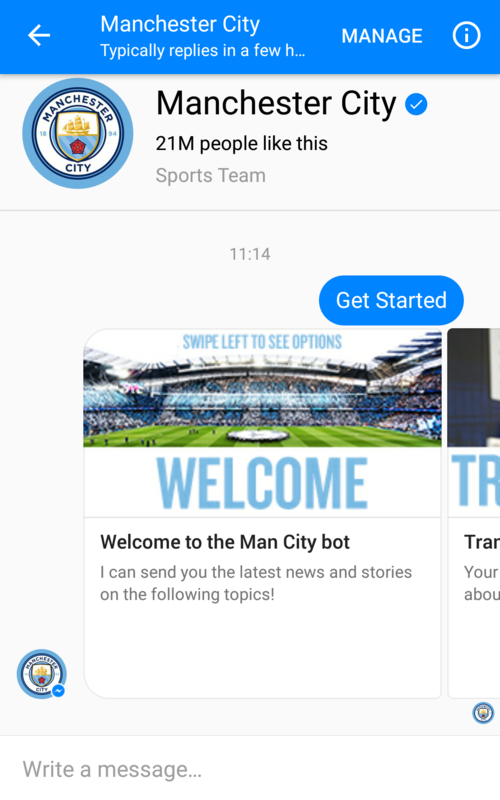 Manchester City has around 21 million Facebook fans which are being updated as well as connected along with the help of the Messenger bot. However, that seems quite perplexing because the live audience of the games may not be as majestic as that of the Facebook fan following. “We have known as a football fan for a long time is, in some ways, changing. A fan doesn’t need to be the fan that has grown up with the club at the beginning, and is only a fan of that club. We’re seeing a new type of fan, who is a fan of ours and other football clubs,” states Gigliani. It is not a science that not all Facebook fans are the literal fans of the club. Some of them can just be there to stay updated and connected to club’s recent decisions and changes. Manchester City has already experiment wearables. As mentioned, it has entered into the Android Smartwatches realm with its own CityMatchday Wear app launched in Feb last year. The app is not much of the training session or the practice of any type. It just sends the match stats and scores to the fans who bailed on the match. Gigliani commenting on the M City’s wearable and technology decisions states that the club might be deciding to enter the fitness space along with some training app. He states: “We will look at opportunities around wearable devices to see what could exist in that space, both for the person who practices football and the person who wants to get fit”. 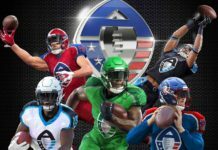 We are not yet confirmed if the league’s official wearable is in the way or not. 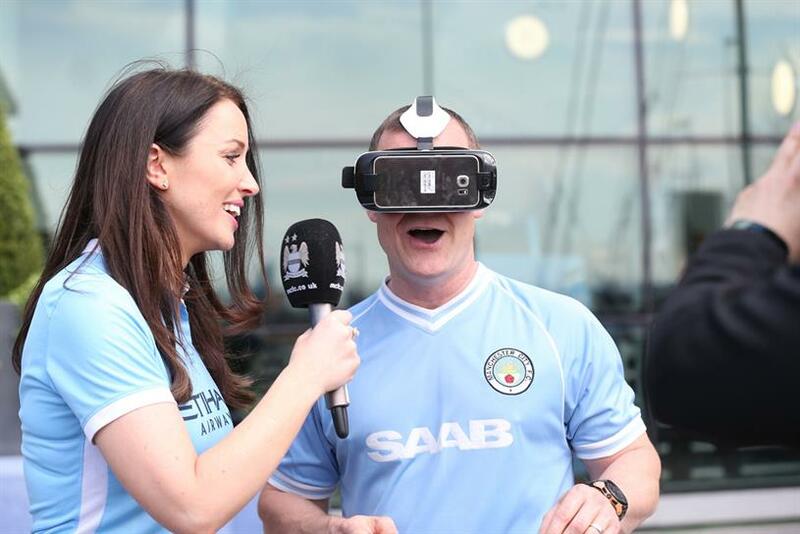 Let’s stay connected and hope that Manchester city stay true to the technology as it ventures into the VR world too.